T’is the season for giving and while what may come to mind at first is our loved ones, it’s important to remember the less fortunate. There’s lots of charities asking for help at this time of year and it’s important to include those who are in need. I’ve created a list of worthy causes for you to support their Christmas charity appeals. PLUS access to Crisis’ year-round services for training and support in the year ahead. Whether you make a personal donation or convince your workplace, organisation or family and friends to chip in, this can seriously be a miracle for someone who is going through the toughest time of their lives. Family Action transforms lives by providing practical, emotional and financial support to those who are experiencing poverty, disadvantage and social isolation across the country. This year the charity has launched Together at Christmas, an appeal to support families this Christmas by providing the helping hand they need to tackle the problems they face, giving them the chance to enjoy a happier Christmas together as a family. Family Action knows how important it is to provide practical and emotional support to families around the Christmas period (as well as throughout the year) and are asking people to help them this Christmas by fundraising for less fortunate families. For those who are interested in getting together with friends, family and colleagues this Christmas to raise money to help Family Action’s dedicated professionals be there for families all through the year, there’s lots of ideas for you to do such as make and sell things (hot mulled wine and mince pies, Christmas crafts), Set up a giving tree or even a fundraising page. Another Christmas appeal is the Toy Appeal which put companies in touch with local Family Action services across the country and asks them to to provide new gifts priced around £15 for individual children supported by these services, and then to wrap them (indicating the age and gender the present is suitable for) and deliver the presents to their local service. Heartbreakingly, for many of these children, this may be the only gift they receive. The RSPCA are appealing for kindness this Christmas, to help the thousands of animals who are facing neglect and cruelty over the festive season.While for many, Christmas is a time to celebrate kindness to our friends, family and pets – our inspectors are braced to see some of the worst acts of cruelty to animals over the long winter nights. So this year, they are asking animal lovers across England and Wales to promote kindness at Christmas by helping feed one of the rescued animals in their care. Your donation will help cover the £10,000* that food for all of the animals in the RSPCA centres will cost over the three days of the festive period. Please give a little kindness this Christmas and help care for animals as they recover and wait for their new homes. It takes just £3 to feed a cat, £3.90 to feed a rabbit, £4.50 to feed a dog and £19.60 to feed an equine. Thousands of people have united against dementia this year with Alzheimer’s Society by volunteering, campaigning or donating, but there are still too many people facing dementia alone and there is still no cure in sight. Someone develops dementia every three minutes – we must continue uniting so dementia doesn’t win. From volunteering with Alzheimer’s Society’s new Side by Side service, joining one of our fundraising events or writing to your local MP, there are many ways people can get involved. This Christmas, Alzheimer’s Society want to prove that the best gifts can’t be wrapped so whether you volunteer, fundraise or donate, every action makes a difference to someone affected by dementia. Visit the Alzheimer’s Society website for more information on how you can help. Happy Days works with local communities across the UK which helps to provide vital breaks for individuals, families and groups who support children with additional needs. They fund holidays for young people and their families, residential trips for groups of children and young people, including community groups and lots of experiences and activity days. Every Christmas, Happy Days Children’s Charity gives thousands of brave kids and their families a really special day out to a pantomime, giving them a chance to get out, get together and have a day that they really deserve, helping them in so many ways. Last year they organised a special panto day for over 6,000 children but there were hundreds of more places that they were unable to fund. Their goal is to raise an extra £30,000 between now and December which will enable them to support an additional 1,500 children with this magical day. There are different ways that you can help them reach their target. You can organise a Christmas fundraiser, sponsor a bauble on the HDCC Christmas tree, enter the Christmas colouring competition or even order a tree of hope poster for your workplace, local pub or shop, etc. where stick your spare change on the baubles and help give a brave child a Christmas to remember. If time is limited, you can simply donate to their Just Giving page. Tearfund are a Christian charity who work tirelessly to help communities around the world escape the very worst effects of poverty and disaster. 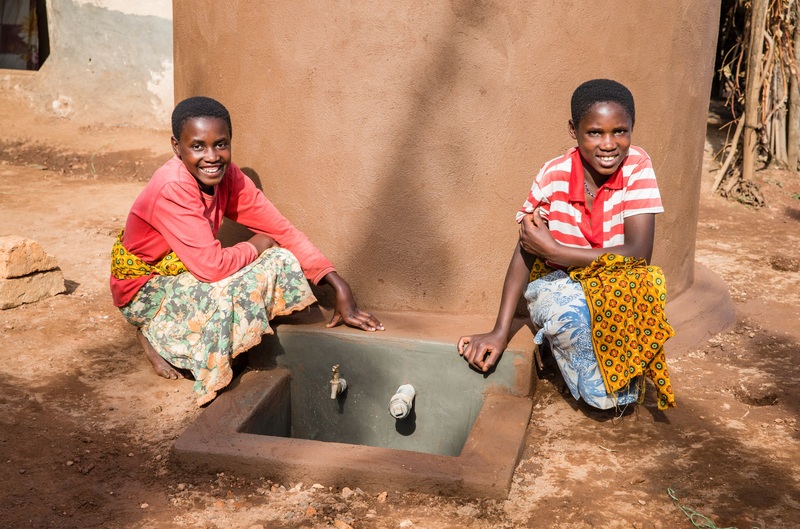 Tearfund care about of number of issues including poor communities, marginalised groups, gender and relationships, disasters, hunger, clean water, education and much more. This year, every pound you donate to the Tearfund Appeal will be doubled by the UK government meaning that your gift will go twice as far – giving some poorest, most troubled parts of the world the chance to escape their poverty. 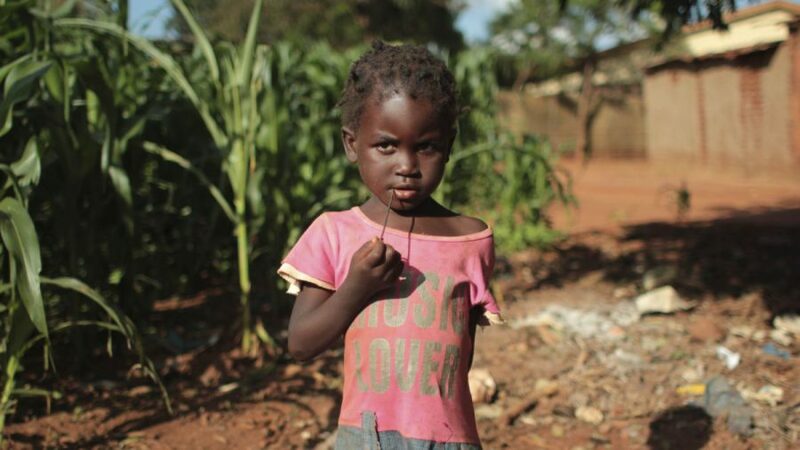 Money raised will change the lives of people like Geena in the Central African Republic and around the world who have suffered unimaginably due to conflict and poverty. Over 13 million people benefitted to Tearfund’s response to disasters, 32 million people reached through their community development work, over 154,000 local churches envisioned and over 300 local, national and international policies influenced and changed. 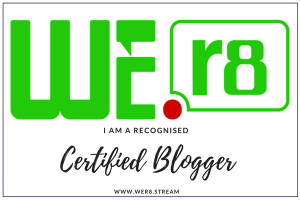 For every pound you give, 7p goes towards support & running costs, 13p for fundraising, 7p for changing unjust policies, 9p envisioning the global church, 29p developing communities and 35p responding to disasters. Imagine over 100,000 hours dedicated to Christmas. What could you do? Christmas shopping, eat goodness knows how many Christmas dinners, binge watch pretty much every Christmas film going… this year Samaritans’ volunteers will be on hand for a staggering 123,000 hours over the festive season to listen to anyone have a tough time. More than 11,000 volunteers across the UK and Ireland will be working shifts for the charity to ensure its helpline is open round the clock, even on Christmas Day and New Year’s Eve. Top concerns expected are mental health, family issues, isolation and loneliness along with relationship problems, physical health, violence, abuse, bereavement as well as drug and alcohol misuse, because for some people – more than you realise – Christmas isn’t the most wonderful time of the year. Samaritans is encouraging us all to give the gift of listening by telling friends and family it’s ok to open up if something is troubling you. 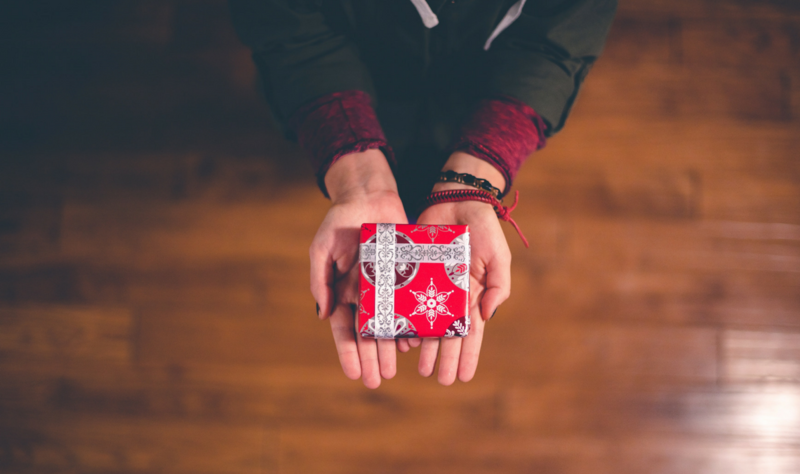 To make it easy, the charity has produced a set of vouchers that you can download from its website to give as presents, offering yourself as a listening ear. You can invite someone to confide in you over a coffee, while out on a walk, or in whatever way you feel they will be most comfortable with. Socks won’t save a life, but listening can. 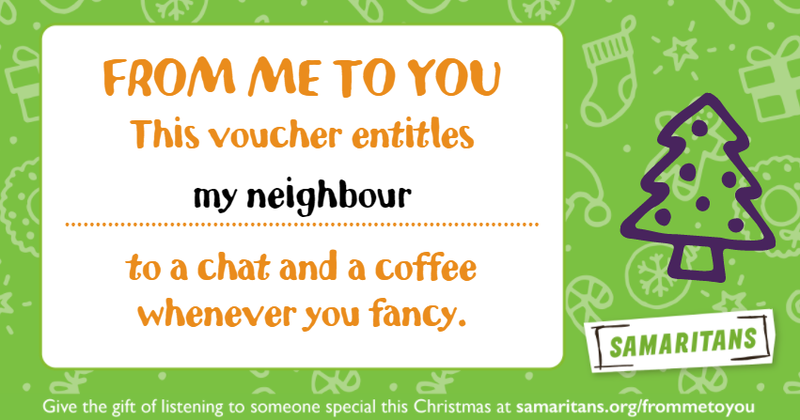 You can also give the gift of listening with a donation to help ensure that Samaritans’ services are there for anyone who needs them this Christmas and every single day of the year. NSPCC is one of UK’s leading children’s charities to pretend cruelty to children and this year’s appeal is Light up Christmas for Children where they have partnered with Sky Cinema. The aim of the campaign is to raise funds for the NSPCC’s 24/7 confidential Childline counselling service. 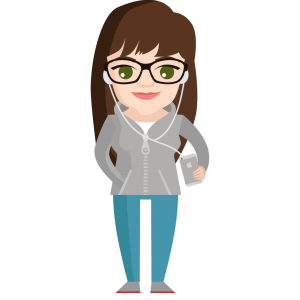 A child will contact Childline – their free telephone service for under 18s – every 25 seconds but currently Childline counsellors can only answer three out of four contacts from children. The campaign will be attempting to raise vital funds for Childline so they can be there for every child who needs them. As part of the campaign, NSPCC are lighting up Oxford Street’s world famous Christmas lights display in London throughout the festive season. In addition to this, Spice Girl,Geri Horner, is leading the way in lighting up Christmas this year to help raise funds for the charity. In the film shown above NSPCC Ambassador Geri is encouraging the UK to support the campaign by sharing a selfie of their own ‘light up’ moment on social media using #LightsOn and donating to the NSPCC. The #LightsOn moment could be anything from a selfie in front of the Christmas tree when the lights are switched on for the first time, to images of homes or streets lit up for Christmas. By making a donation. To donate £4, text ‘NSPCC 4’to 70744. Text costs include your donation of £4 plus your standard network rate. The NSPCC will receive 100% of your donation. By sharing their #LightsOn selfie of their own ‘light up’ moment with their friends and family across their social channels and then making a donation to the NSPCC. The light up moment could be anything from an image of you in front of your tree after you’ve turned the lights on, a video of that switch on moment to a picture of your house lit up. For older people, the Winter can be the most harsh and challenging time of the year, with the cold weather bringing an increase in associated health problems and while we may see Christmas as a time for celebration and togetherness, lots of older people can find it lonely, reinforcing feelings of loss and life passing them by, with negative knock-on effects for their physical and mental well-being. New research for Age UK shows that nearly a million (928,000) older people feel lonelier at Christmas time, two-fifths of whom have been widowed. The charity is calling on everyone to come together this festive season and pledge their support to their campaign and reach out to older people in their lives and locally in their community. 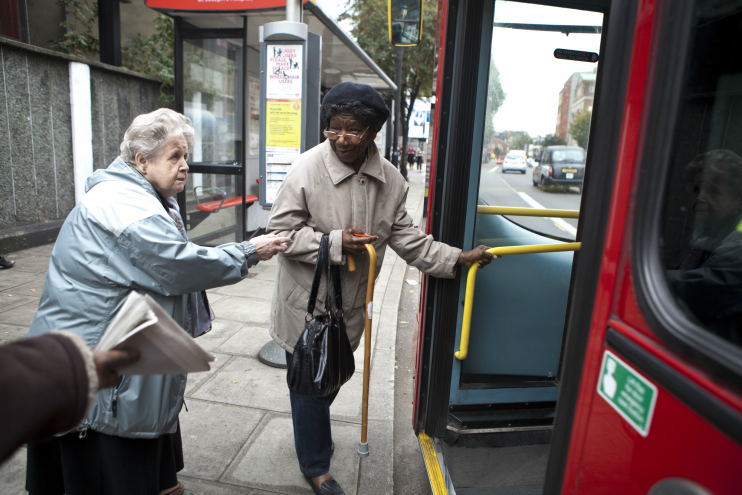 Whether you start a conversation to give an older person a vital boost, accompany your neighbour to a local event or offer assistance on extreme weather days, no one should have no one and we all have the ability to get involved. For more info on the No one should have no one campaign and how you can help, visit the Age UK website. Poverty stops for nothing, not even Christmas. Millions of girls are living in fear in countries torn apart by conflict and girls are facing unimaginable hardship and trauma. In Gaza, four-year-old Assenat gets very frightened when she hears planes overhead. Every night, thousands of children in Gaza suffer from nightmares and bedwetting, signs of the severe emotional distress they feel from witnessing violence and destruction. When they wake up, these children cannot even turn on a light for comfort. Since Gaza’s only power plant was shut down, families like Assenat’s are only getting four hours of electricity a day. Through child sponsorship, ActionAid’s local staff and partners provide direct support to girls like Assenat. In Gaza we help provide rechargeable lights to the most vulnerable so that girls don’t fear each nightfall. We help set up street lighting so that early morning walks to school are less dangerous. We support children’s clubs, where girls can build their confidence and overcome trauma. ActionAid believes all children should have an equal chance to thrive. Through our child sponsorship programme we’re reaching some of these children, but we want to help many more. This year, Make-A-Wish Foundation has joined forces with the Daily Mail to launch Quids For Kids which is an amazing way to recycle your old coins that are no longer able to be used. Make-A-Wish Foundation is an international charity who grants wishes for terminally ill children – whether that’s meeting their idol, starring in their own films or even going on their dream holiday. More than 20,000 children and young people in the UK have a life-threatening condition. Make-A-Wish Foundation began in the UK in 1986 and has granted more than 11,000 wishes, which provide these children with hope, joy, and resilience to fight their illnesses. This year, it hopes to help 1,000 youngsters aged between three and 17. These children are often isolated, lonely and painfully aware of all the fun they’re missing out on. If you have any old £1 coins take them to your nearest Nationwide Building Society who will take them on behalf of the charity until 20th December. You can also make extra donations there and if you don’t have any old pound coins, you can donate online, by text message or even cheque. 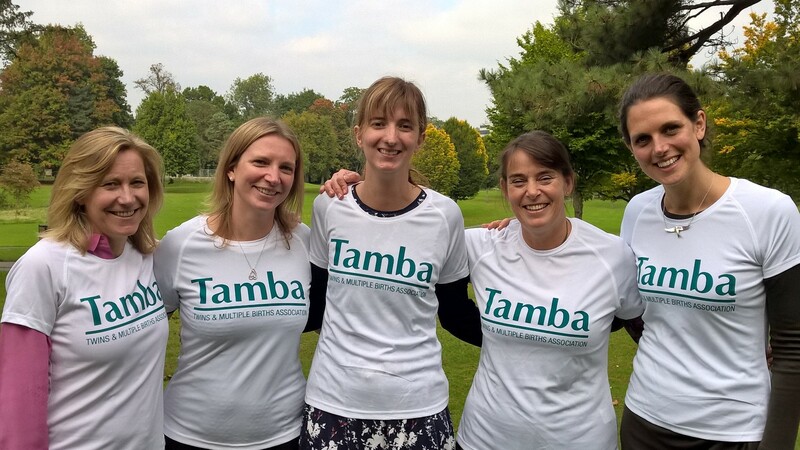 Tamba is the only UK-wide charity dedicated to improving the lives of thousands of families with twins, triplets or higher multiples. Multiple pregnancies are at far higher risk of developing complications than singleton pregnancies, for example Twin to Twin Transfusion Syndrome. Babies have almost a 50:50 chance of spending time in a special care baby unit. Helping Hands – Supporting Families in Crisis is a Tamba service, providing free, short-term, practical support in the home to families with multiples who are in severe crisis. Tamba provide this service all year round but the number of families needing support shoots up around the festive period. The families they helped in January last year was double the monthly average and devastatingly included three cases of dads dying suddenly and unexpectedly. For more info on how to donate and get involved, visit the Tamba website. As Christmas approaches, the families supported by Rainbow Trust Children’s Charity, who care for a child with a life threatening or terminal illness, are only too aware that the greatest gift of all will be spending time together this festive season. 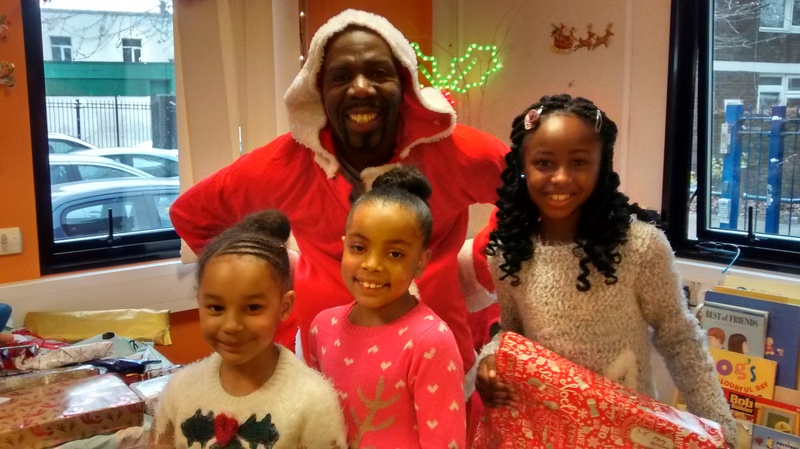 Rainbow Trust has launched its traditional Christmas Appeal to encourage supporters to donate to the charity so they can reach more families this festive season through its team of Family Support Workers. Rainbow Trust matches families who have a seriously ill child with a Family Support Worker who provides emotional and practical support at home, in hospital and in the community, making life a little easier. It has nine care teams of Family Support Workers across England, including Essex and London. Which of these charities do you support? Have you seen any Christmas charity appeals that deserve recognition and support?